From top to bottom: WIC Shizuoka, Nagoya and Yokohama, and P2 Artful on the right. Hi everybody! Today I want to share this easy-peasy nail art with you, that I made with a couple of new WIC by Herôme shades from the Mystic Japan collection. The pink basecolor is called Shizuoka, a typical Barbie pink with a subtle shimmer. I noticed this polish caused dragging sometimes, but fortunately a thicker second or third coat was able to fix that. W.I.C. 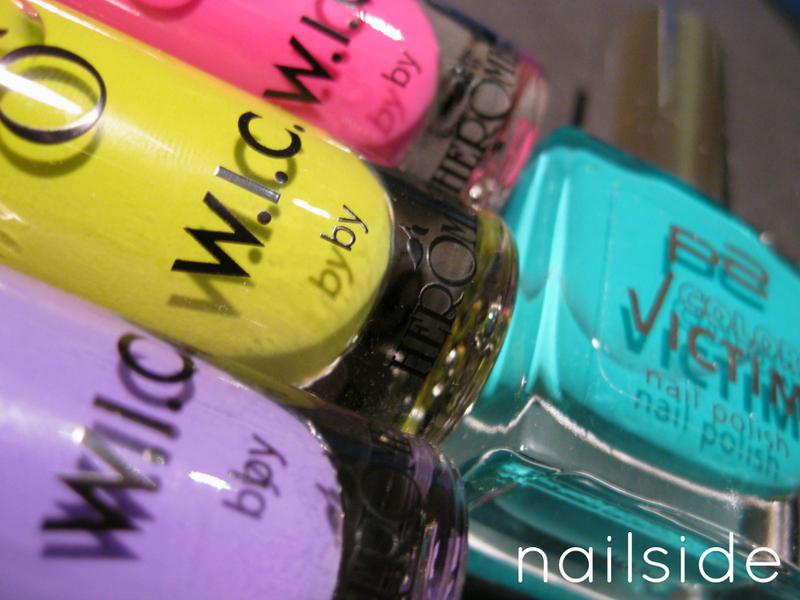 nail polishes are available in the Herôme online shop for €7.50 per bottle of 0.7ml/0.2 fl.oz., or €12.50 for two. Shipping is worldwide. Some of the products in this post were sent to me for review. This does not influence my opinion on the reviewed products. This looks so pretty! I love your tutorials! how long did it take you to do this to your nails? do you think it would look good to wear for prom night with a black dress? did you have to do multiple layers of the overlapping polish on the ends of your nails? thanks again for the tutorial, love it and cant wait to hear back. i love this, you are so creative! wow! Haven't seen such a beautiful design for so long! Nice! It reminds me of Pucci designs, and the name is similar to my Japanese auntie's: Shizuko. It's great to see how easy nail art can be. Never would have thought brushstrokes would make such awesome nail art. Absolutely love it! This is so simple and cute!!! Of course I'm not sure if I could pull it off but I love it! You are amazing! This looks really cool! And by the sound of it, it should be really simple. I will try and recreate it. 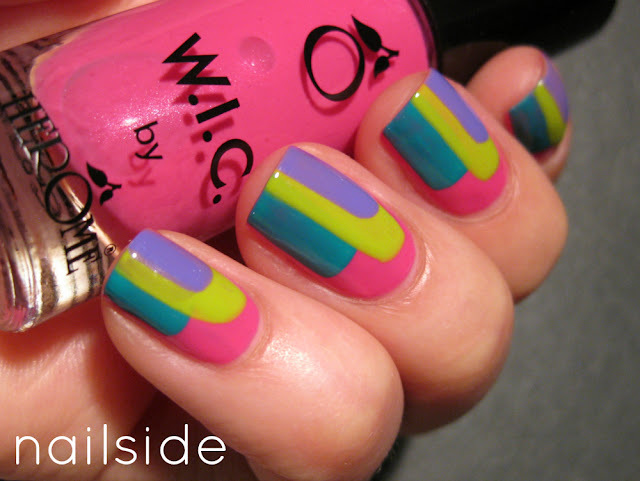 Nice Nail Designs, the color combination is awesome. Thanks for sharing your nail design tips. Way cute! I think I want to go to school to become a nail design specialist in Villa Park, IL. Does anyone know about how much education it takes to do this? I just graduated from high school.